This object is currently on display in room 105 as part of Rebeca Méndez Selects. There are 3 other images of this object. See our image rights statement. See more objects with the tag continents, porcelain. This is a Figure. 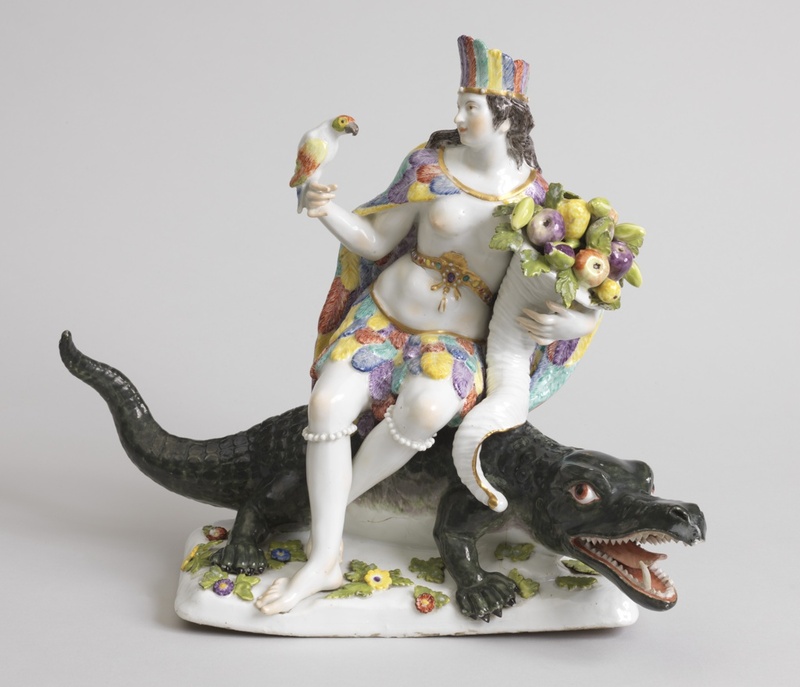 It was produced by Meissen Porcelain Factory and modeled by Peter Reinicke. It is dated ca. 1760 and we acquired it in 1960. Its medium is porcelain, enameled and gilded decoration. It is a part of the Product Design and Decorative Arts department. It is credited Gift of the Estate of James Hazen Hyde.